In the center of the rocky mountains of Banff lies the Banff Springs Golf Club offering scenic views and its natural beauty to its honored visitors. The 18 hole course is within the premises of the Banff national park with a lush green captivating golf area.The course is also home to a driving range and an academy that provides with golf instructional sessions. Carry a camera as the view at the course is totally worth capturing. Some hole are very tricky which makes the game all the more challenging. 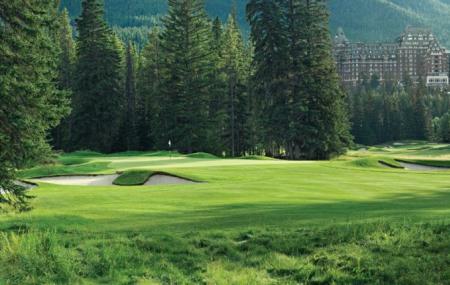 How popular is Banff Springs Golf Club? People normally club together Surprise Corner and Bow Falls while planning their visit to Banff Springs Golf Club.